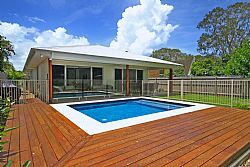 Tucked away in the heart of central Coolum you will find this spectacular home set to provide the ultimate holiday getaway. 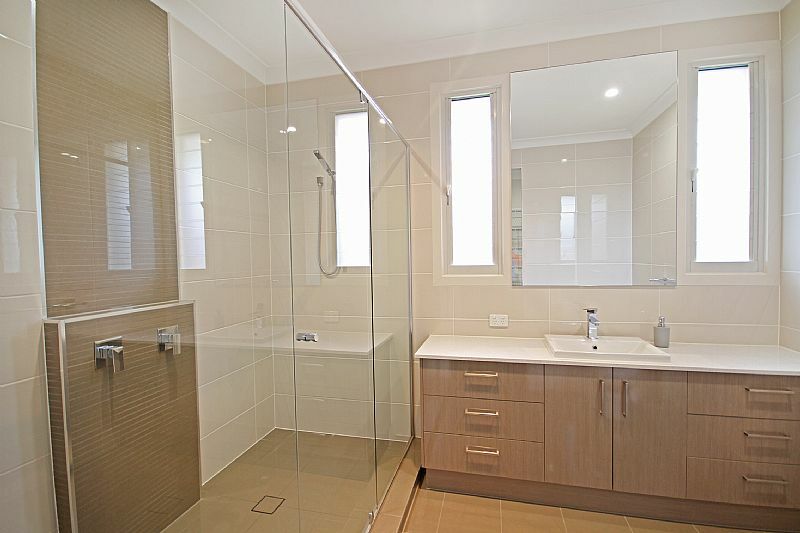 Modern, spacious and beautifully appointed, guests can relax in comfort and privacy. Perfect for a family vacation or large group stay. Hidden away behind a sleek electronic gate this expansive single level home is ideal for those seeking extra space, peace and quiet as well as all the modern conveniences. A wide entrance hallway opens out to an open plan living and dining that flows out to an expansive undercover entertaining area. The large designer kitchen features stainless steel appliances including a large double door fridge/freezer and extra wide entertainer’s oven as well as an island breakfast bar perfect for casual holiday mealtimes. The master bedroom retreat has a king size bed with TV and includes a huge walk in wardrobe and large ensuite with double shower and luxury fittings. 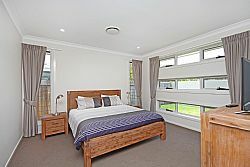 There are two further generous bedrooms with twin single beds in each as well as spacious built in wardrobes. An additional queen bedroom at the far end of the house offers space and comfort with a LG TV and two double-door built in wardrobes as well as direct access to the pool and outdoor patio. Set amongst landscaped gardens in a fully fenced yard with secure gated entry, this property is perfect for pets and children. 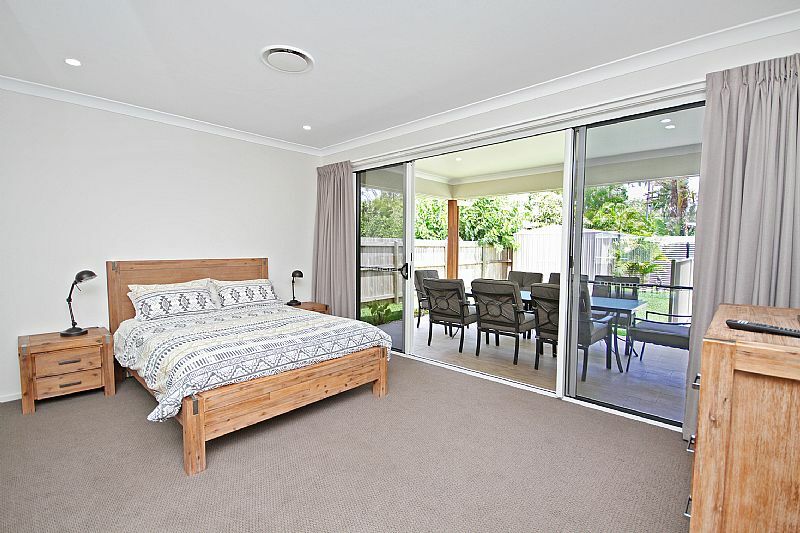 The interior offers stylish vinyl timber-look flooring in the living spaces with plush carpets in all the bedrooms as well as ducted air conditioning and ceiling fans throughout. 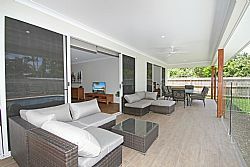 Everyone will be catered for with a sparkling inground pool, mealtime seating both inside and out for up to eight people, WIFI, Foxtel, a DVD player and a Smart TV to access streaming services of your choice. 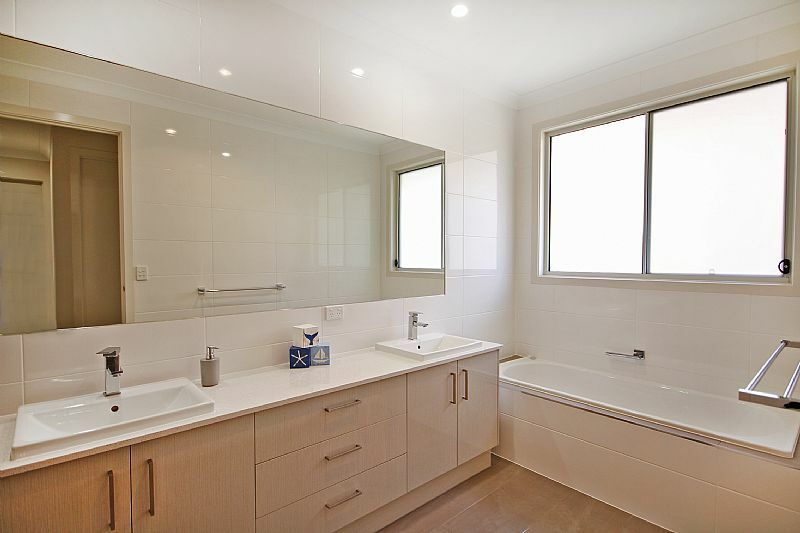 A large family bathroom with double vanity, bath and shower as well as two separate toilets and a fully equipped laundry mean all requirements for a relaxing yet practical vacation have been met. Off street parking including a massive double garage with roller door to the rear garden enables guests to bring everything they need – including the kitchen sink! Coolum is a surfing and golfing mecca, with a carefree holiday atmosphere distinct from its neighbouring beach towns. 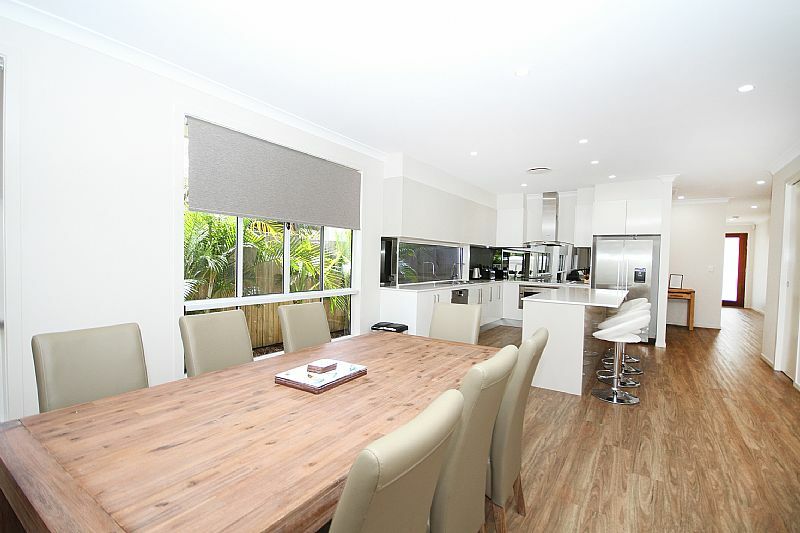 It’s long shopping and entertainment strip has a stunning outlook across a large beachfront park, and its leafy backstreets quietly traverse this beautiful coastal town in constant view of Mount Coolum, a grand volcanic dome that presides over the landscape. 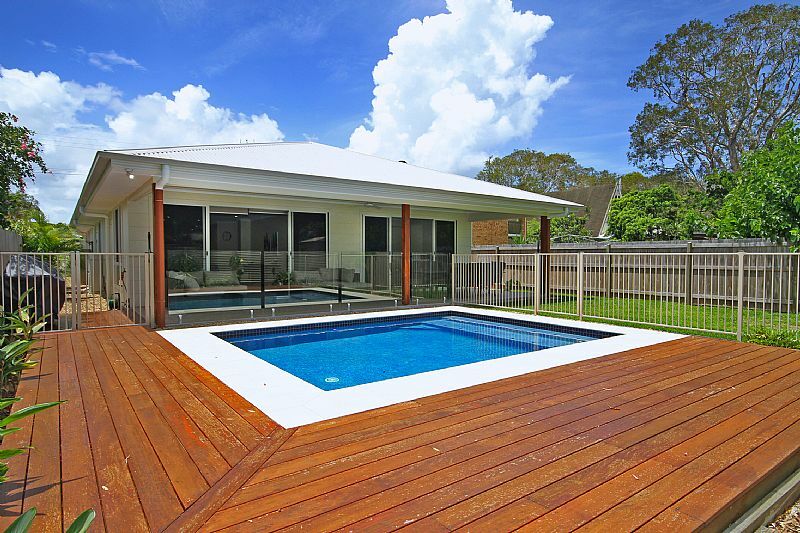 59 Banksia is located in a popular suburban street just 800 metres from the beach and surf club and tucked away from the busy holiday hustle and bustle. 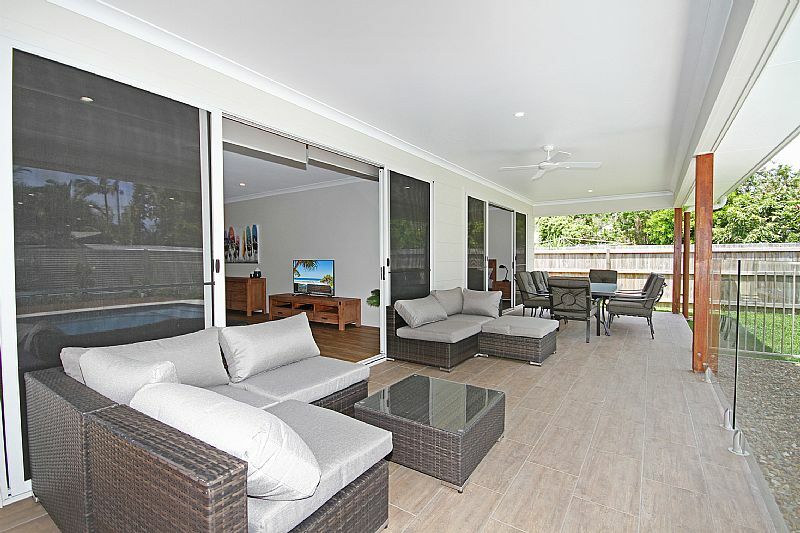 Enjoy living like a local during your stay, with easy access to local conveniences and just a short drive to the Sunshine Motorway or David Low Way to further explore everything the beautiful Sunshine Coast has to offer.